When choosing contact lenses, comfort and performance are what you should expect. At Bayview Optical, our optometrist, optician, and eye doctor are experts at selecting and fitting the most technologically advanced contact lenses available today. Prescribing the healthiest contact lens for your lifestyle is our standard of care. It used to be that contact lenses were uncomfortable and difficult to take care of, but new technology has changed everything. There are several choices in two week and daily disposables. There are toric contacts for astigmatism and bifocal contacts for presbyopia. New silicone hydrogel contact lenses breathe much better than the old technology. With the new lenses your eyes will be comfortable all day. Most people are so comfortable that they can’t feel their lenses at all. Bayview Optical has the technology, and Livonia and Farmington optometrist Dr. Blaize is the one who is best qualified to fit them. He is the preferred provider in the area for both Acuvue and Bausch and Lomb contact lenses. With close to 20 years experience, this eye doctor is highly educated in the art of fitting the newest products available anywhere. 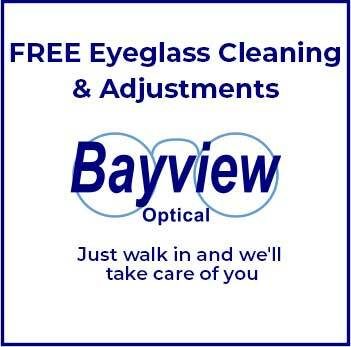 Bayview Optical, a place to buy contact lenses in Livonia! Types of Contact Lenses - Ask Our Eye Doctor! Contact Lenses for Nearsighted Prescription Dr. Blaze and his staff, Lori and Michelle, are a joy to work with. I have a seriously nearsighted prescription and hard to fit contact lenses and Dr. Blaze always works with me to be sure I have the best vision possible. He is super patient and up for the challenge! My whole family comes here and we all love it! !